These nutritious vegetarian power bowls will surely satisfy for a hearty entrée. And they are easy enough to make on a weeknight. Simply toss chunks of root vegetables with a little oil and roast them until they are tender and browned. 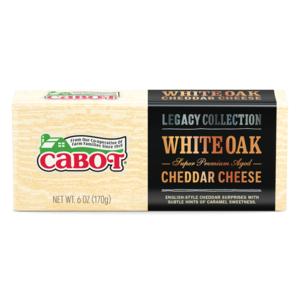 Pile the veggies over cooked quinoa and then add on some buttery Cabot White Oak Cheddar. 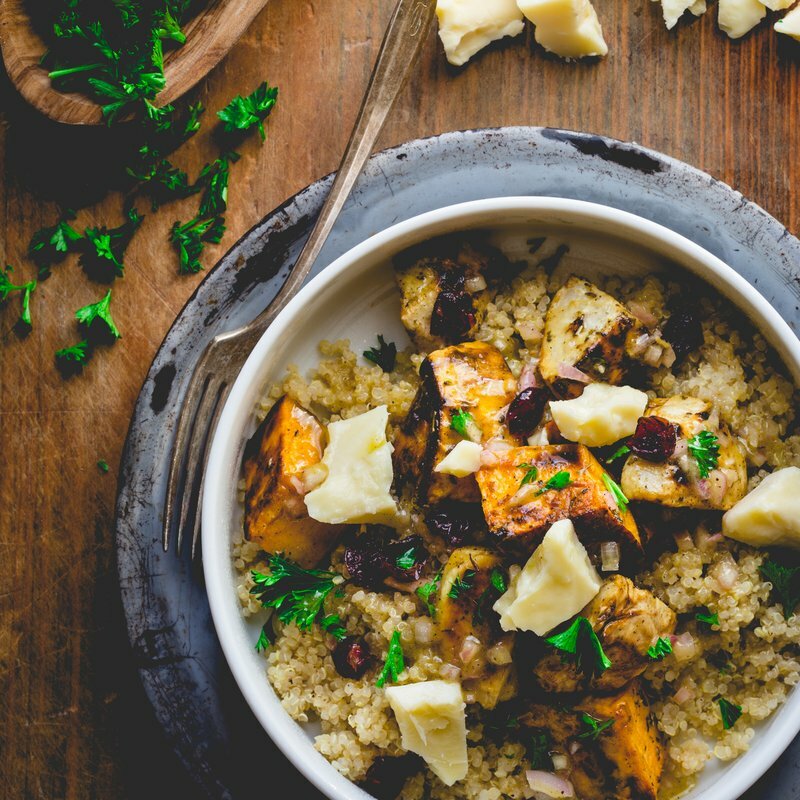 ROAST Vegetables: Toss sweet potato, parsnips and celeriac in a large bowl with 1 tablespoon oil, herb blend, ½ teaspoon salt and ¼ teaspoon pepper. Spread out on a large baking sheet. Roast, stirring occasionally until browned and tender, 25 to 35 minutes. COOK quinoa: Bring broth to a simmer in a medium saucepan over high heat. Add quinoa and return to a simmer. Cover, reduce heat to low to maintain a simmer, and cook until the quinoa has absorbed the liquid and the germ bursts, 15 to 20 minutes. Let sit covered 3 to 5 minutes. MAKE dressing: Whisk shallot, vinegar, mustard, honey, the remaining 2 tablespoons oil, the remaining ½ teaspoon salt and the remaining ¼ teaspoon pepper in a small bowl until combined. Alternatively, puree with a mini-prep or immersion blender. ASSEMBLE Power Bowls: Mound cooked quinoa in the center of 4 wide bowls. Top each with ¼ of the roasted vegetables. Drizzle with the dressing, dividing evenly. Top each bowl with Cabot White Oak cheddar, cranberries and parsley, dividing evenly. Delicious and very easy. Gourmet comfort food. Great for meatless Monday. Highly recommend!